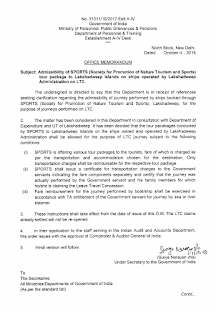 SPORTS is offering various tour packages to the tourists, fare of which is charged as per the transportation and accommodation chosen for the destination. Only transportation charges shall be reimbursable for the respective tour package. 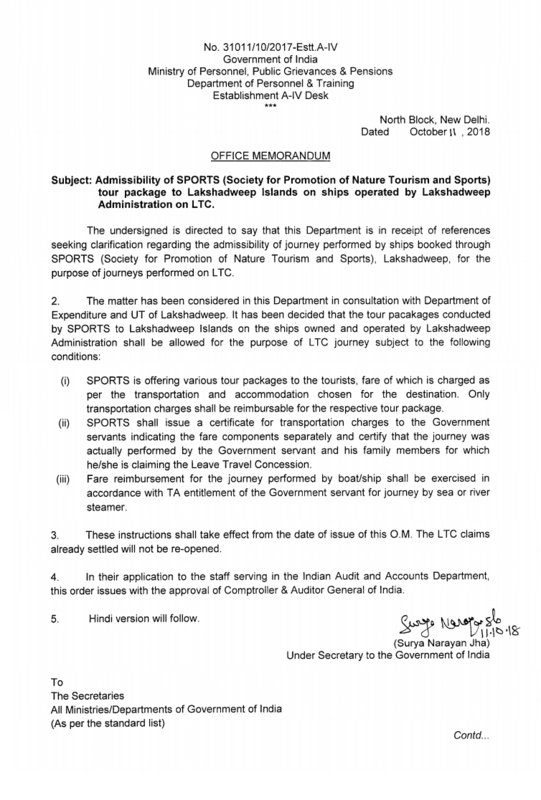 SPORTS shall issue a certificate for transportation charges to the Government servants indicating the fare components separately and certify that the journey was actually performed by the Government servant and his family members for which he/she is claiming the Leave Travel Concession. Fare reimbursement for the journey performed by boat/ship shall be exercised in accordance with TA entitlement of the Government servant for journey by sea or river steamer.